Ribes uva-crispa — such is the present Latin name of this look long-term leaf-losing bushes with the height of 100-120 cm, having three Russian equivalents: the gooseberry ordinary , the gooseberry rejected, or European (and one more olld Russian — "берсень" with an accent on the second "e"). Till 1960th the botanists named the plant as Grossularia reclinata, and placed it to the family of Grossulariaceae. 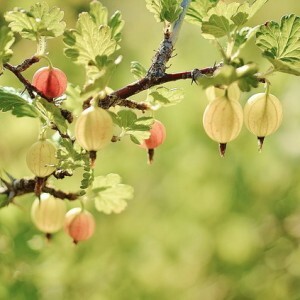 The glory of the historical homeland of the Gooseberry is divided by North Africa and Western Europe. From there it extended practically on all Northern hemisphere of Earth — from California to China, because long since it had been attracted people with the fruits.